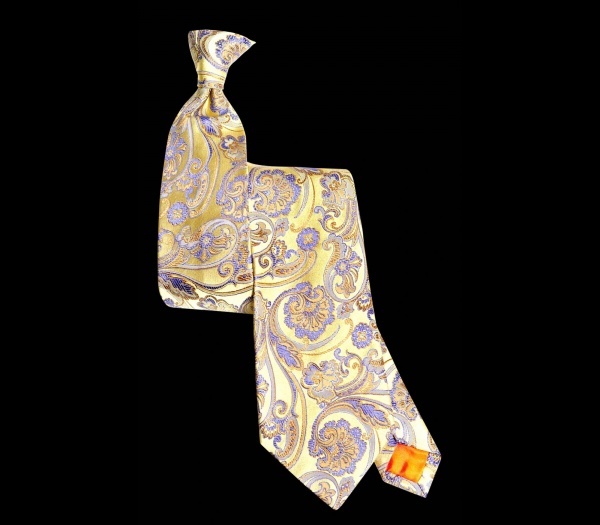 Stanley Lewis has a nearly endless array of gorgeous ties, and it was close to impossible trying to pick just one to feature, but amidst the too-flashy and too-basic neckies, this lemon paisley silk tie seemed just right. All of the Stanley Lewis neckties are handmade in Italy by some of its most dedicated artisans. Crafted from 100% silk and lined with 100% wool interlining, the lemon and mauve hues compliment the elegant paisley pattern. Available now at the Stanley Lewis online store. This entry was posted in Accessories, Black Tie, Ties and tagged Tie. Bookmark the permalink.